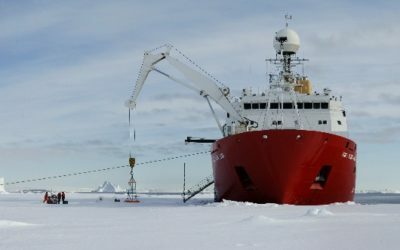 In addition to its scientific role the RRS Sir David Attenborough will support the resupply of the five Antarctic research stations operated by British Antarctic Survey (BAS). RRS Sir David Attenborough‘s cargo hold will have a volume of 2,100m³ and will be capable of storing 660m³ of aviation fuel. The flexible design of the cargo hold will allow for efficient stowage of containers and other cargo. 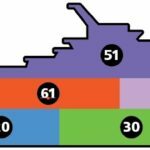 It will also be equipped with a stern and a side A-frame (30t), a fold-out platform near the bow fitted with a boom and winch for towing scientific equipment, and several removable bulwarks to allow for deployment of equipment from the aft deck. 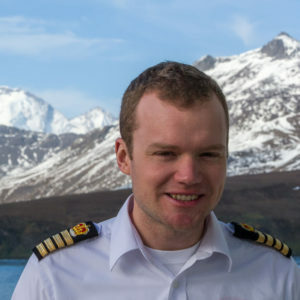 The new polar ship will be equipped with a workboat and cargo tender, which will be capable of approaching Bird Island and Signy research stations during resupply operations. 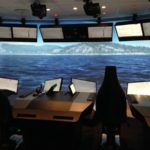 This is important because the water near these stations is too shallow for the ship to approach. Additionally, there will be a number of small inflatable craft aboard the ship. The RRS Sir David Attenborough’s workboat, known as Erebus, will be used to transport personnel and supplies to and from our island stations as well as undertaking some scientific research. 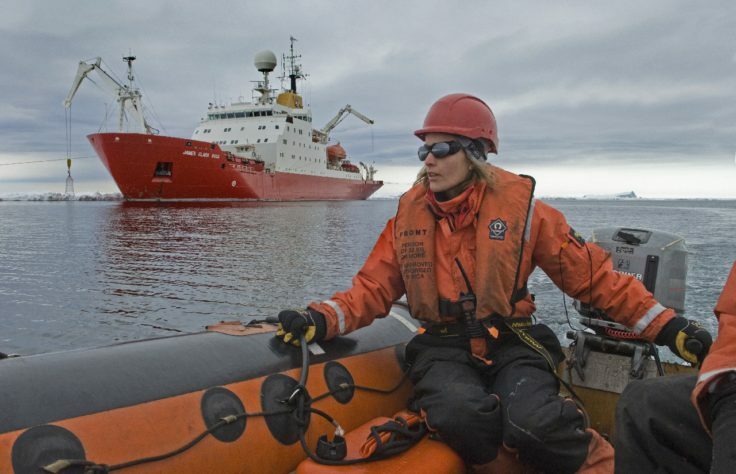 In order to give her operational flexibility between science and logistics, she has a removable transducer pod capable of carrying four transducers for the Simrad EK80 fisheries echo sounder and the Kongsberg EM2040 shallow water multibeam echo sounder system. 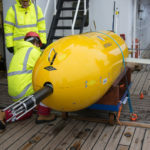 This acoustic equipment can be used to map the seabed, in some areas Erebus will be used to survey the seabed in shallow waters whilst the RRS Sir David Attenborough carries out concurrent surveys in deeper waters. 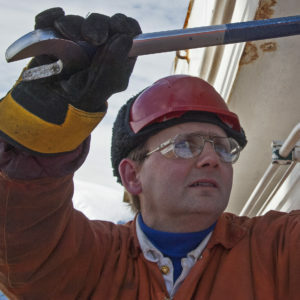 Erebus also has a hydraulic stern davit and winch that can be fitted when required. This has a 250kg handling capacity and winch fitted with 500mm of 6mm rope for overside sampling operations. 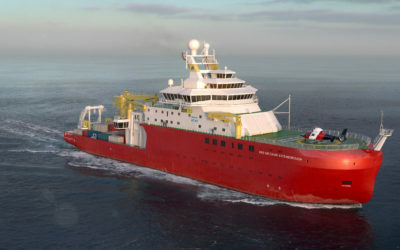 The cargo tender will be used to transfer all the supplies (food, fuel and science equipment) onto land at stations and places that the RRS Sir David Attenborough cannot access. To assist with this work the cargo tender is fitted with a crane that can lift up to 1t loads @ 8m. 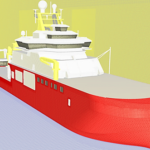 The RRS Sir David Attenborough will feature a helideck and hangar capable of supporting up to two small helicopters. 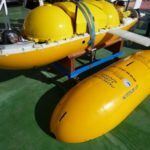 These could assist with the deployment of airborne scientific instruments and scientific field parties, or transfer vital equipment to shore in case of fast ice preventing a landing by the ship. 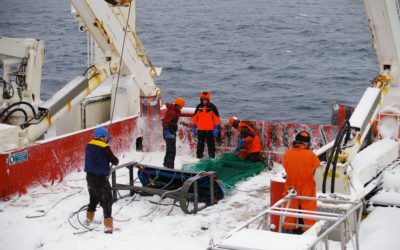 Operating a polar research vessel with helicopter capabilities increases the potential science BAS and its collaborators can support.